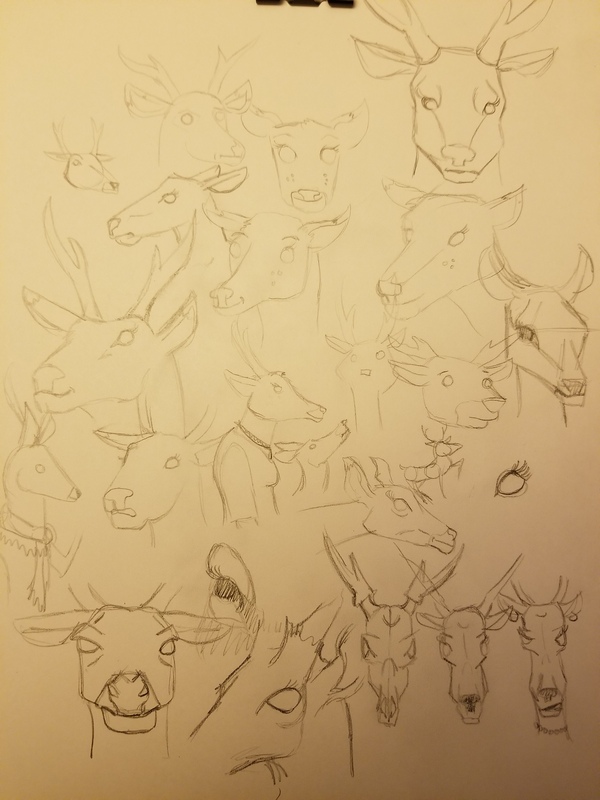 More sketches of variations of deer faces at different angles. Started in the upper left and slowly went more geometric by the lower right. Far right center middle flowed easier than most. Perhaps there is something there?